In June of last year (2018), myself and a couple of my colleagues—Chris Dahm and Jason Kusnier—had the privilege of leading a day-long workshop as part of Beer City Code’s annual conference. It was a great opportunity to network with other developers from all stages and walks of life. The conference was very affordable, so regardless of your experience I highly recommend that you check out the conference in 2019. 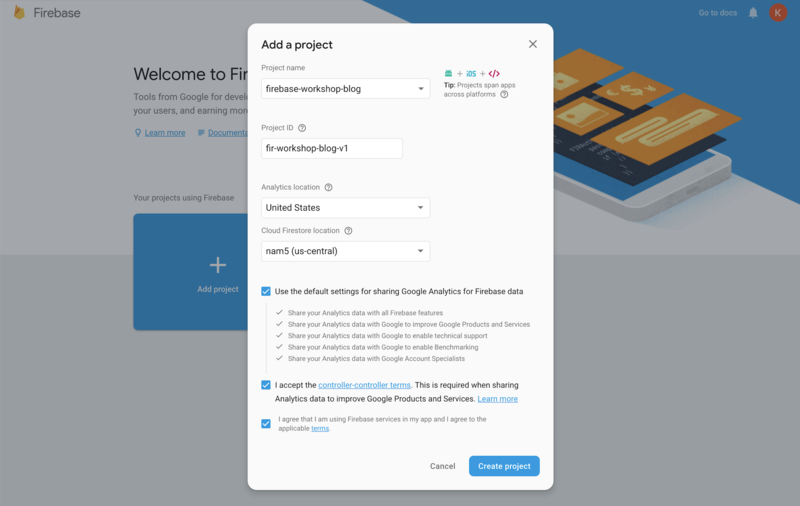 Our workshop, Building Applications Using Firebase, was a huge hit with those that participated, so I’ve decided to adapt the workshop into a blog series. To make things easier to follow, I’ve broken up the workshop into six parts. In a nutshell, Firebase is a cloud-based Backend as a Service (BaaS) platform that can integrate with Google Cloud Platform (GCP) products. 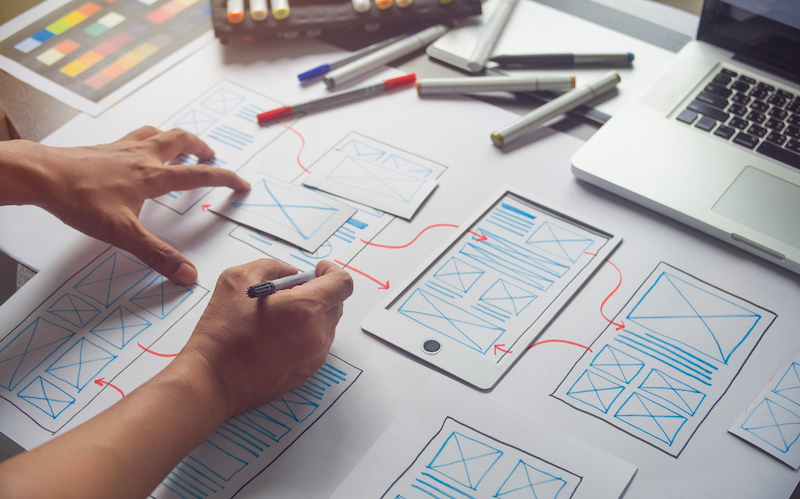 It is billed as a “comprehensive mobile development platform,” but it integrates any cloud-connected software across all platforms to form a seamless user experience with minimal setup needed from the developer(s). For more information, check out the Firebase website. I will not be covering all of the services offered by Firebase, as many of them are specific for mobile applications. If you are interested in mobile app development, then I encourage you to read about them and follow the Firebase YouTube channel to learn more. Alright, now that you know a little bit about Firebase, we will spend the rest of Part 1 configuring our development environment, cloning down the starter app code, and setting up authentication. You can find all of the code for this tutorial series at this GitHub repository. The first step will be to install Node. It is recommended that you use the LTS version, however newer versions should work no problem. As I am following along, I am using node v10.6.0 though (10.15.1 is the current LTS). Next, open up a terminal window (or command prompt for windows) and type npm install -g firebase-tools. NPM stands for Node Package Manager and was installed with Node. You’ll be using it to install the Firebase CLI tools globally so you can interact with your Firebase project locally. This will be important later on when we deploy our application. Check out the available documentation for more information. Once the Firebase tools are installed, run npm install -g @angular/cli to install the Angular command line tools. You will be using this to build and run your application. You do not need to know anything more about this for the rest of this tutorial, but if you’d like to learn more you can check out the documentation. If you do not have Git installed, please install it. Any Git client that you are comfortable with will work. I personally really like GitKraken which is cross platform and free for open source and non-commercial use, plus they have a cute little Kraken for a logo. Let’s go ahead and clone the repository. The default branch will be the incomplete version of the application; a basic skeleton will be present, including method stubs and the UI (it is not our goal to teach you how to build a UI in Angular). The Master branch will contain the completed application code that you can reference at any time if you get stuck. Next, open the project in your favorite code editor/IDE. I recommend Visual Studio Code, or WebStorm, but, you can use whatever you are most comfortable with. From the root app directory, run npm install to install the application and development dependencies. This will be important in Part 5 of this tutorial when we enhance the application with Cloud Functions. in your terminal to start a local development server and host your app through http://localhost:4200/. This server supports hot swapping, and when you save a file in your project, the server will automatically reload the changed parts for you. I recommend that you use a modern browser for developing this app. Google Chrome and Mozilla Firefox both work great for developing modern Angular applications. Other browsers do work as well, but I recommend these ones. Now that your environment is set up, you will need to set up a Firebase project and connect your application to it. Navigate to the Firebase website and click on “GO TO CONSOLE” in the top right of the toolbar. If you do not see this button, you will have to sign in first. Once in the Firebase console, click “Add Project.” Go ahead and name your project however you want. As a note, if the project name is already taken, Firebase will automatically add some numbers to the end of the name to make it unique (easy way to see if your name is already being used). I have been calling our app Brewerbase, but I would love to hear what names you come up with! You now have a complete cloud-based Software as a Service (SaaS) platform to run your app without the need of a credit card. However, at the bottom left side of the Firebase project console screen you can see your selected billing plan. 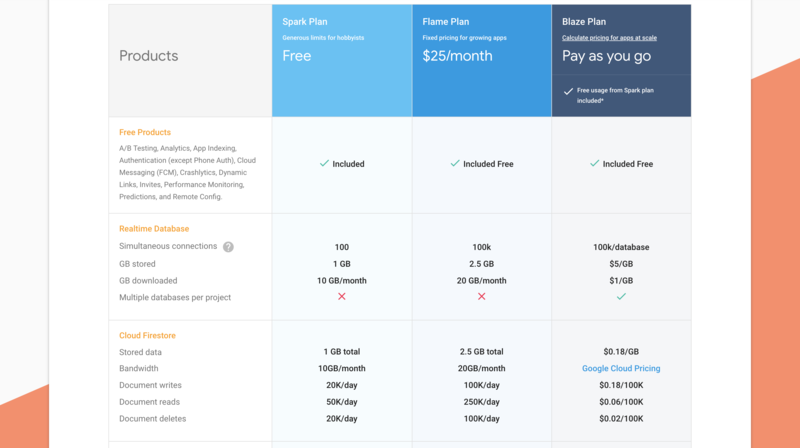 By default, this is the Spark Plan which gives us more than enough resources for our small app at NO COST. Now, click “Add Firebase” to your web app and copy the key-value pairs from the config object in the code snippet that pops up. These are your API key, project ID and endpoints for your cloud services, including database, authentication, storage and cloud messaging. In the application code, open src/config/firebase.config.ts. Paste the key-value pairs into the firebaseConfigDev object (see example below). This will tell Git to not track changes to your config file. Next, open up src/app/app.module.ts. In this file, we need to import the firebase SDK and initialize the firebase app using the configuration we copied into src/config/firebase.config.ts. Note that we are importing our firebase configuration as part of our environment settings on line 14. Paste the following code after line 14. This will pass your API key and other information to the SDK, which will manage your connection to Firebase in the background allowing you to focus on the important things like data model, UI/UX, and business logic. Your app is now connected to the Firebase project. Pretty easy right? In the next post we’ll dive head first into setting up user authentication so stay tuned!